Finally, after a few delays thanks to what we thought would be a temporary blindness, the party is going down even with Sledding Bianchi still blind, and still with Giovanni, “his Bike Bianchi” taking care of him. 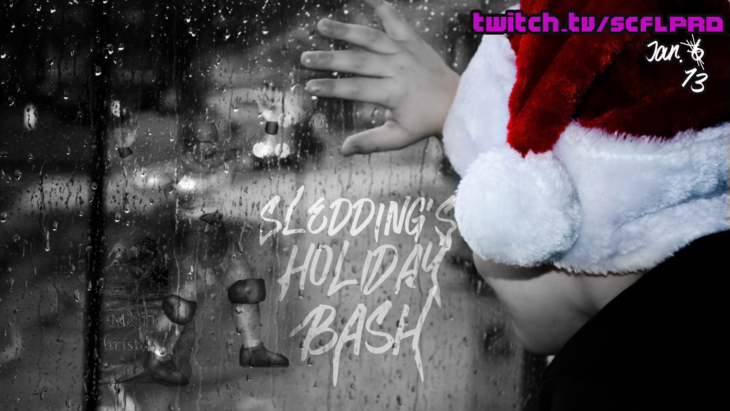 So what will happen at Sledding’s holiday party? Some drinks will be had, some crepes will be provided, and it will be a night that most SCFL wrestlers will be able to just sit back and relax. Oh, but keep in mind, the Dot TV title will be defended by Philly Supreme, and beyond that, it seems like the backyard is too cold for anyone to fight… Unless they want to. Keep in mind, the last time we spent any bit of time at Sledding Bianchi’s home, it was total chaos. The backyard BBQ bash was historical for multiple reasons. Sanders Suzuki was taken by the Shadow Realm, and Discussion Davis defended his belt for multiple hours as his open challenge went terribly wrong. We also saw one of the first appearances of Officer Nate, who shut down the show due to a noise complaint. With the cops deep in the SCFL’s pocket (it seems), will this still be an issue? 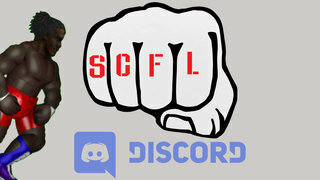 Watch SCFL Fire Pro Wrestling World at 10pm est on Sunday, 1.13! Oh, and what is going on with SCLL? Check out last week’s clips of the week!